The donate link will take you to the PayPal site where you can specify your donation amount. You can pay with PayPal or credit/debit card. Where will your donations go? * By clicking this button you confirm that you are a UK taxpayer and you understand that if you pay less Income Tax and/ or Capital Gains Tax in the current tax year than the amount of Gift Aid claimed on all your donations it is your responsibility to pay any difference. Please ensure your address is attached to your PayPal account as it is needed to identify you as a current UK taxpayer for us to be able to claim Gift Aid. If you do not qualify for GiftAid please use this donate link. What an experience! 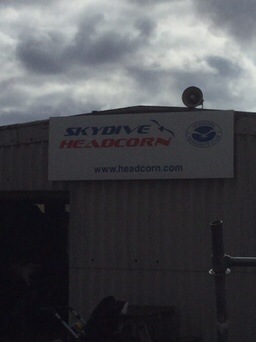 For anyone that needs a pick me up, go sky diving! Guaranteed to give you a rush for weeks afterward! 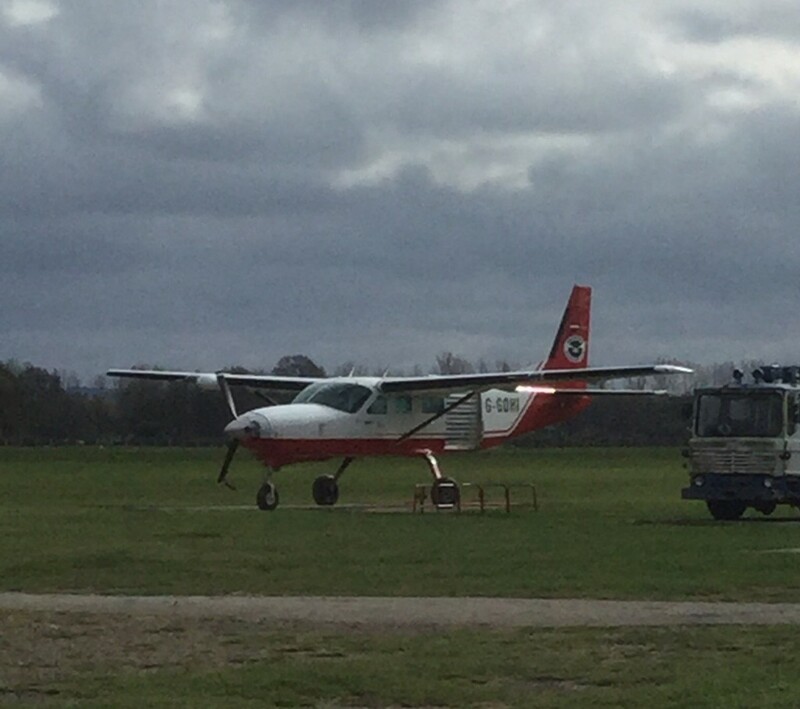 Thank you to the instructors at Skydive Headcorn for being so brilliant and giving us an amazing experience! 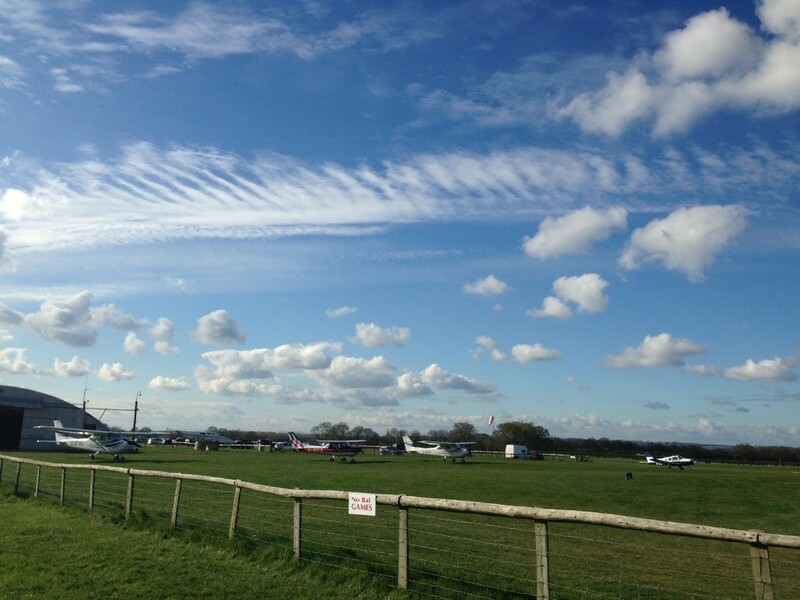 Secondly, a big thank you to everyone for all the amazing support. We only advertised this a few weeks before the jump but all the support has been overwhelming. Your generous donations have been streaming in and all the shares and support on social media really made a big difference so thank you thank you thank you! Thirdly, thank you to our dear/stupid? 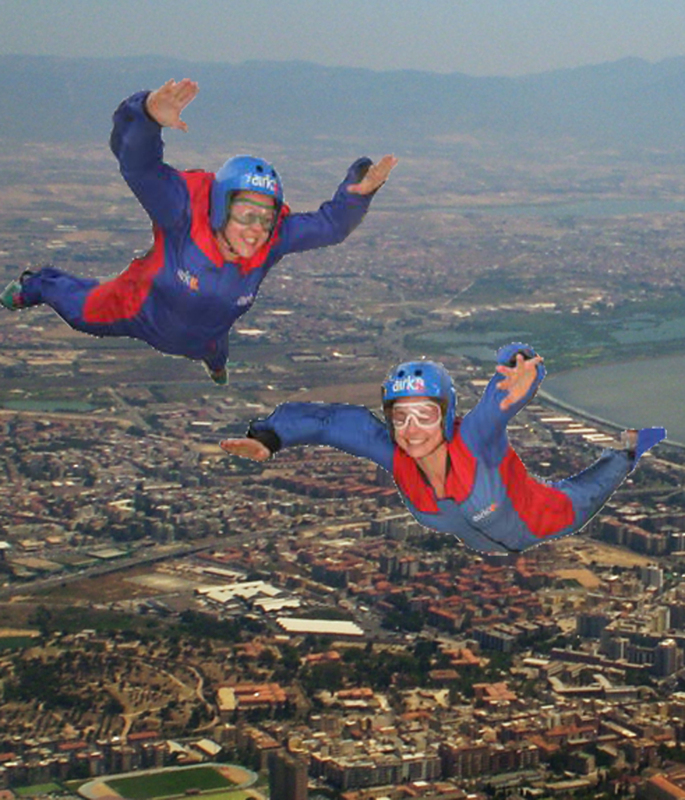 friend Kristina that joined us for the jump. Even now it is surreal thinking back to what we have done! 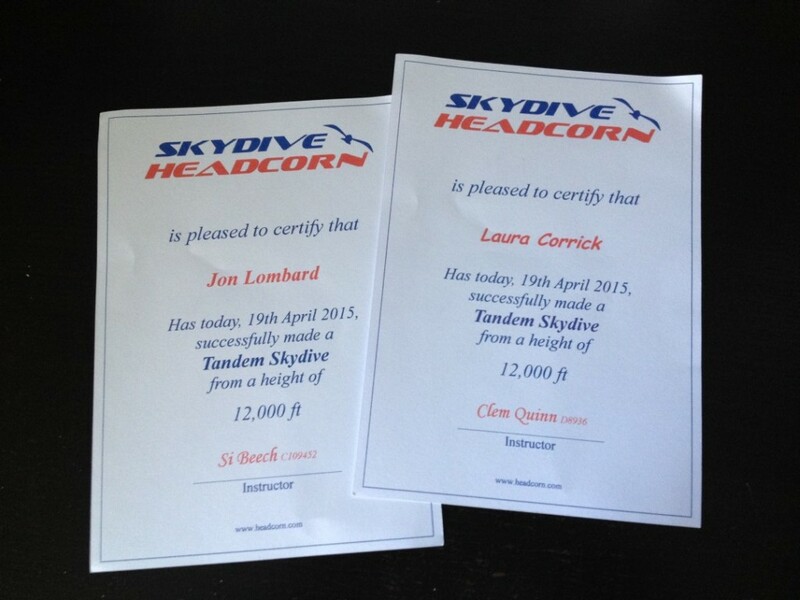 WE JUMPED OUT A PLANE! Finally a very special thank you to Iva Dixon for sticking around with us on the day. 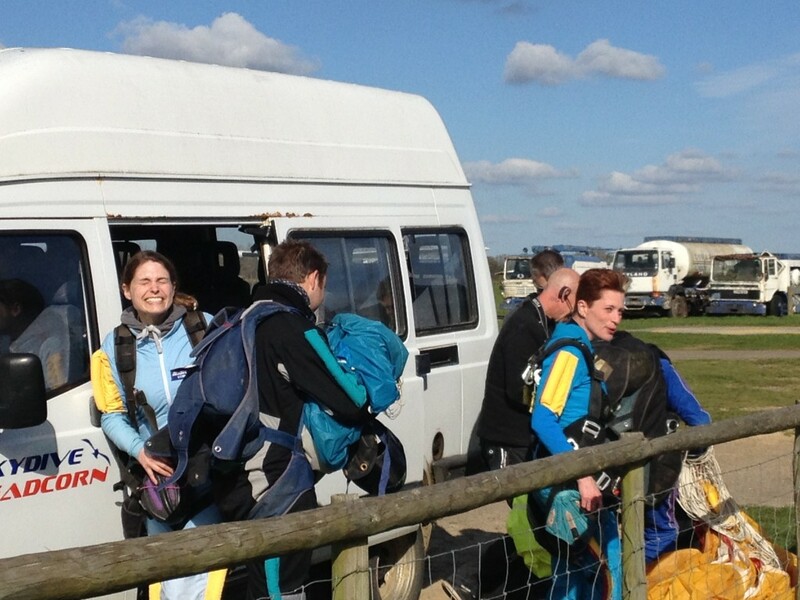 Skydiving is possibly the most adrenaline fueled activity we have ever undertaken however waiting to skydive must be one of the most boring, but Iva was there with us on the day to keep company, help calm the nerves, support and take lots pictures, so thank you very much Iva. Although we were dreading this challenge before hand, we have all agreed that it wont be the last. 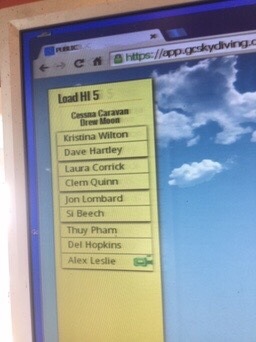 Our names are on the screen, time to kit up! 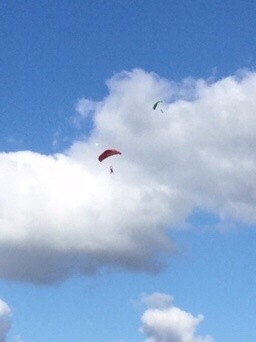 That is us gliding down. What a view! 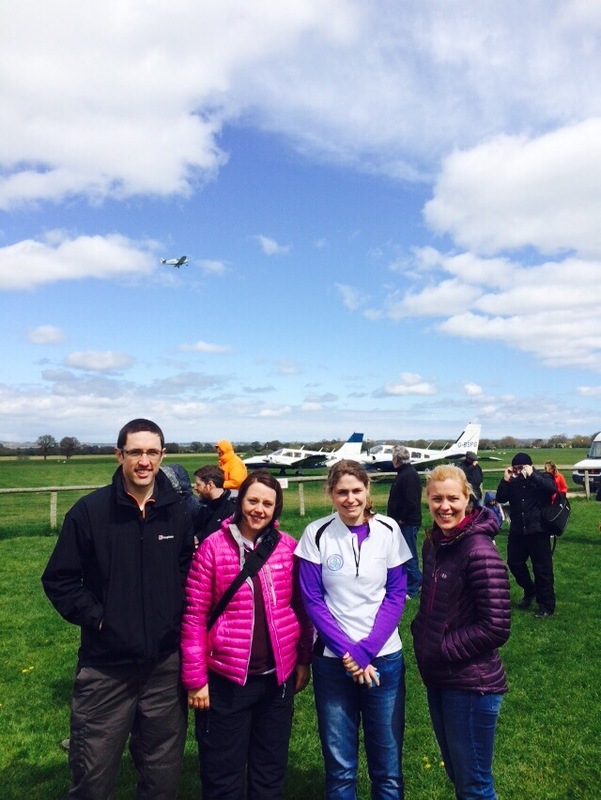 This year we are going one better than an indoor charity skydive – an outdoor one. Eeek! 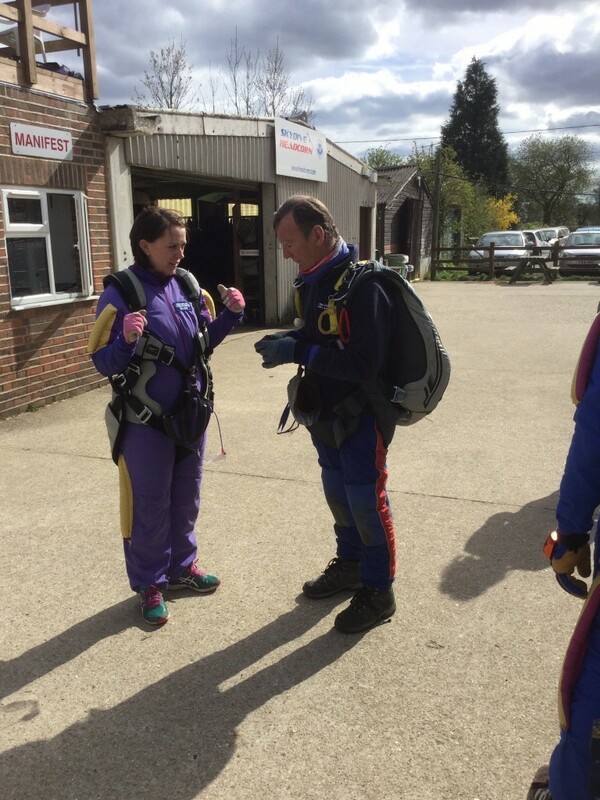 Falling from thousands of feet up and strapped to someone that (hopefully) knows what they are doing, this is possibly the craziest attempt at raising money for charity that we have ever considered. Yes even crazier than swimming in sub 7 degree waters of the Serpentine! 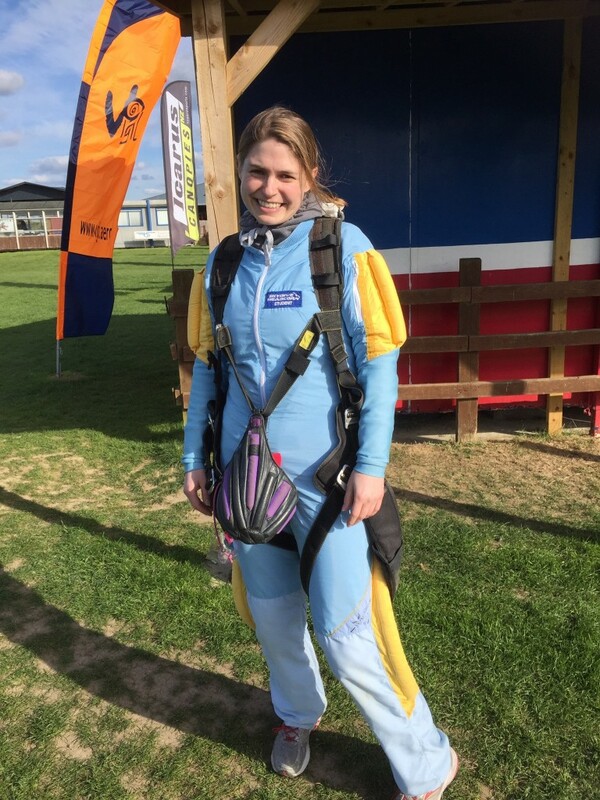 On 19 April we will be jumping from a plane so please consider what nervous wrecks we will be (or in some cases have already been since signing up for the challenge – Laura is dreading it). 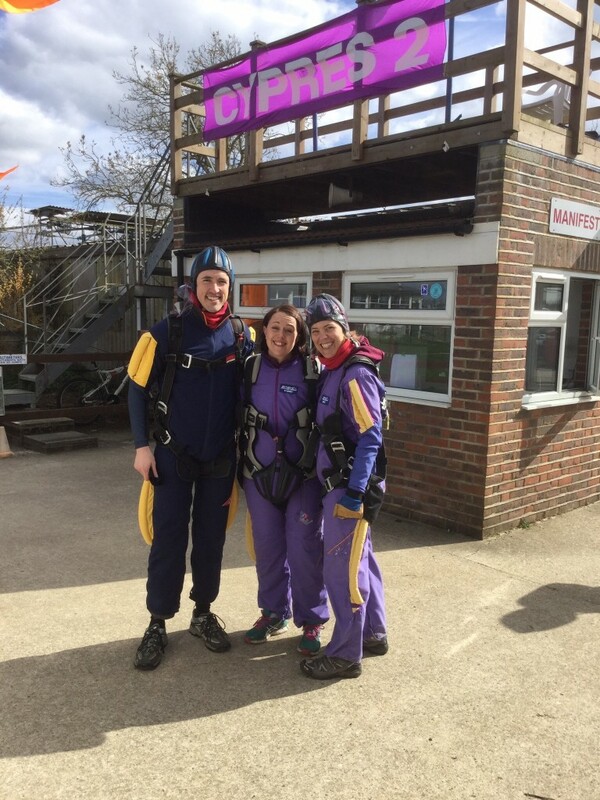 We’re covering all the costs of the sky dive ourselves, so all donations will be used to support people living with dementia, and to raise awareness of the condition. Any amount donated is much appreciated so please donate now! Recent donations may take a short time to appear.